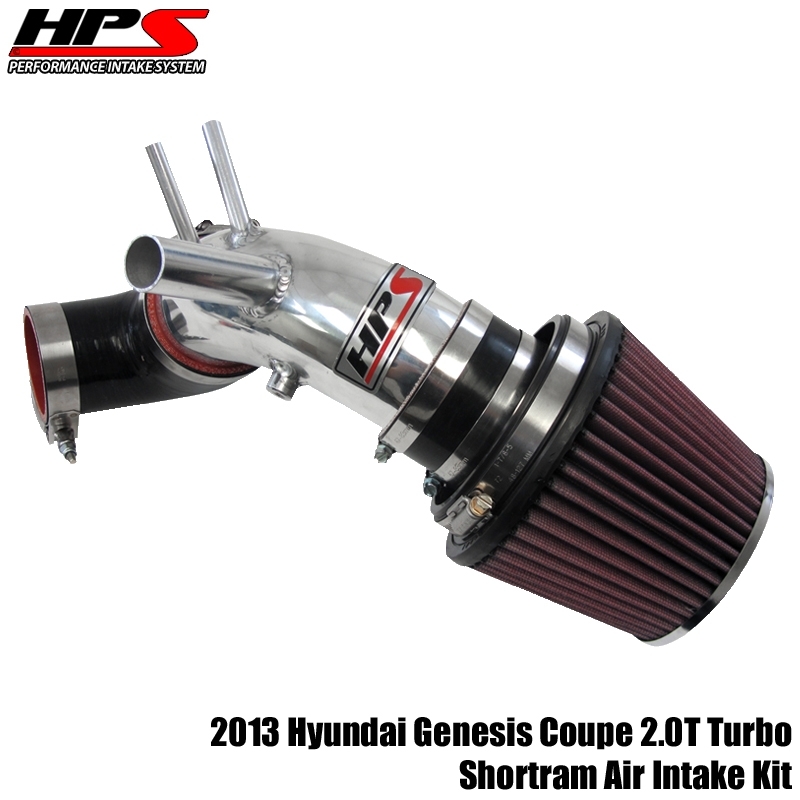 Built for performance and show, the HPS Shortram Air Intake Kit for 2013 Hyundai Genesis Coupe Turbo 2.0L offers a free-flowing mandrel-bent aluminum tube induction system designed to fit many sport compact performance vehicles. 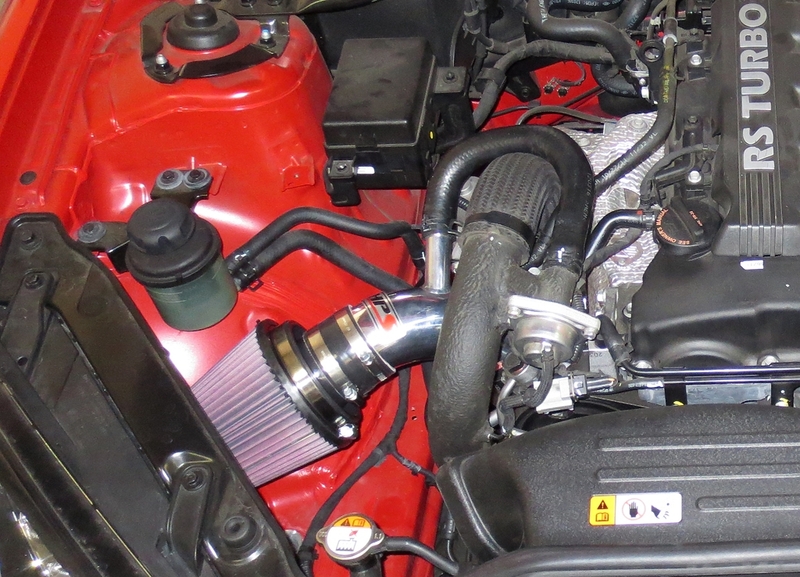 HPS Short Ram Air Intake has been tested on a rear-wheel dynamometer and shown increase in horsepower and torque. Compare to the cold air intake, HPS Short Ram Air Intake is a convenient way to change your intake in case of rainy days where water might be inducted into your cold air system. The HPS shortram air intake systems are available in an assortment of powder coated colors and polished aluminum to match your engine bay styling. They come with an K&N High-Flow conical air filter designed to provide increased surface area and dust capacity. The velocity stack delivers smooth air flow. This extra surface area provides even more airflow at lower restriction than a standard replacement filter that is limited to the size of the factory air box. The oversize air filter also captures more dirt increasing the service life before a cleaning is required (up to 100,000 miles).